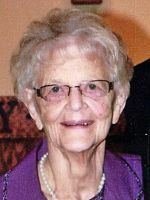 Marie F.VanDerMeer of Otsego passed away Saturday, September 29, 2012 in Otsego. Marie was born May 23, 1929 in Chicago to Edward and Pauline (Schumann) Anbach. In her leisure time she enjoyed reading, yard sales and flowers. Surviving are her daughters, Bonnie (David) Bloomquist and Carmen VanDerMeer both of Otsego. She was preceded in death by her parents, her husband Louis in 1994 and sisters, Dorothea Eldridge and Bertha Anbach. In keeping with her wishes cremation has taken place and a private burial of ashes will take place later at Mountain Home Cemetery, Otsego. Donations in memory of Marie may be made to Wings of Hope Hospice. June E. Ahlberg of Kalamazoo, Michigan entered Heaven’s gates on Wednesday, September 26, 2012. Mrs. Ahlberg was born June 26, 1931, in Kalamazoo to Claus and Nellie (Lemmer) Bos. In 1949 she graduated from Kalamazoo Central High School. She had been employed with Meijer and then as a ward manager at Bronson Methodist Hospital, retiring in 1993. In her leisure time she enjoyed knitting, crocheting and flower gardening. June was a devout Christian and a member of Doster Church. On October 9, 1952 in Kalamazoo she married William ‘Bill’ Ahlberg, who survives. Also surviving are a daughter and a son, Susan (Terry) Revill of Otsego and Rick (Julie) Ahlberg of Kalamazoo; six grandchildren, James (Carol) Kelsey, Andy (Jessie) Kelsey and Michael Kelsey, Mandy (Tim) Johnson, Tory (Katey) Ahlberg and Jon Bontekoe; six great-grandchildren, Hailey, Ethan, Tyler, Mackayla, Nicki and Malanya; two sisters, Jean Soeters of Jackson and Carol (Ken) Hopp of Plainwell; several nieces and nephews. Preceding her in death were two brothers-in-law, Robert Soeters in 2010 and Robert Stamm in 2006. Friends may meet with June’s family from 2 to 5 P.M. Sunday at the Winkel Funeral Home, Otsego, where funeral services will be held at 11:00 A.M. Monday, October 1, 2012, Pastor Steve Slater officiating. Burial will follow at Hillside Cemetery, Plainwell. Contributions in memory of June may be made to Hospice Care of Southwest Michigan. 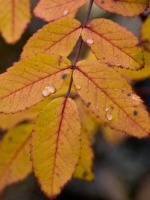 Anna E. Grimes of Allegan passed away Saturday, September 22, 2012 in Allegan. Mrs. Grimes was born July 28, 1909 in Jonesville, MI the daughter of Wellington and Minnie (Davis) Lawrence. She graduated from Hillsdale High School in 1927 and from Bronson School of Nursing in 1931. Anna worked as a RN until she retired in 1968. In her leisure time she enjoyed knitting and crocheting and had been a member of the Merson Church and Otsego Women of the Moose. Surviving are her daughter Frances Rutherford of Delton; 9 grandchildren, Kitty Towne, Gary Rutherford, Larry Rutherford, Harry Rutherford, Dan Rutherford, Mary Ann Winn, June Lester, Penny Marshall and Karen Butcher; many great-grandchildren and great-great grandchildren; several nieces and nephews. She was preceded in death by her husband W.B. Grimes in 1974; a daughter, Beatrice Ann Dent; grandson David Rutherford and her brothers William and Samuel Lawrence; a son-in-law Donald Rutherford and a great-great grandson, David Towne Jr.
Anthony ‘Tony’ Meeuwse of Kalamazoo, Michigan,passed away Tuesday, September 18, 2012, at Rose Arbor Hospice. 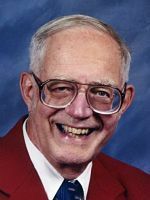 Mr. Meeuwse was born August 31, 1934 in Kalamazoo to Jacob and Marie (DeVries) Meeuwse and had lived in Gobles for 30 years before moving back to Cooper. For many years he was employed in the construction trade as a carpenter, retiring in 1991. Tony was a member of the carpenters union and attended the Oak Grove Bible Church. In his leisure time he enjoyed woodworking, reading and outdoor work. On August 12, 1995 at Oak Grove Bible Church he married Merrillie Roberts, who survives. Also surviving are a son and a daughter, Ken Meeuwse of San Francisco, CA and Ann (Devon) Pettis of Fremont; grandchildren, Madison, Sean and Connor; a sister, Nell Pohlers; brothers-in-law, Lewis (Pat) Roberts and Vern (Eleanor) Roberts; several nieces and nephews. Preceding him in death were his wife, Goldie and his brothers, Frank, Garret, Jake and Bert. Cremation has taken place. Tony’s family will greet friends from 10 to 11 A.M. Saturday, September 22, 2012, at the Oak Grove Bible Church, where a Memorial Service will be held at 11:00 A.M., Pastor David Ives officiating. Contributions in memory of Tony may be made to Rose Arbor Hospice or Oak Grove Bible Church. 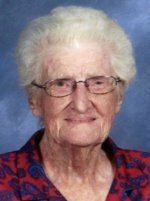 Ina Winter of Plainwell (formerly of Otsego) went to be with her Savior on Sunday, September 16, 2012 at home, surrounded by her family. She was born January 5, 1930 in Petersburg, Delaware, to Gustav and Martha (Schwenk) Ziebutski. Ina graduated from Caesar Rodney High School in Camden, Delaware. She attended Beacon Business College in Wilmington, where she took classes to become a secretary. She worked for The DuPont Co until she met the love of her life, Harold, in Ocean City, Maryland. They were united in marriage in Dover, DE on September 19, 1953 and lived in Chicago before moving to Otsego in 1956. 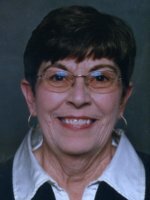 After 18 years of service as a secretary, she retired from Otsego Public Schools in 1987. 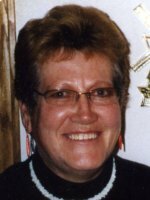 During retirement, she enjoyed traveling, crafts, spending time with family and friends and visiting Indian reservations. Ina was an active member of Peace Ev. Lutheran Church. Surviving are her 4 children, Dawn (Paul) Welke of Winona, MN, Andy (Trish) Winter of Otsego, Cindy (Roger) Commissaris of Portage, and Janice (Dave) Rockhoff of Kenosha, WI; 12 grandchildren; 4 great grandchildren; 2 sisters, Frieda Pinkavitch of Dover, DE and Wanda Bernier of North Attleboro, MA; a sister-in-law, Janice (Ernie) Cochran of Allegan; many nieces and nephews. She was preceded in death by her parents; her husband of 57½ years; 3 brothers, 2 sisters and a daughter-in-law. Friends may meet with Ina’s family from 4-7 P.M. Monday, September 17, at the Winkel Funeral Home, Otsego. Funeral services will be held 10:00 A.M. Tuesday, September 18 at Peace Ev. Lutheran Church, 805 S. Wilmott St., Otsego, with Reverends Jason Thiel and Joshua Olson officiating. Burial will follow at Mountain Home Cemetery, Otsego. In lieu of flowers, memorials may be made to the Peace Lutheran Air Conditioning Fund. 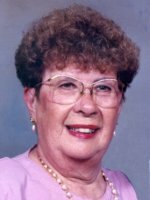 Emily L. Livingston of Plainwell, Michigan passed away Thursday, September 13, 2012, at Wings Home in Allegan with her family by her side. Mrs. Livingston was born July 13, 1942 in Bradley, the daughter of James C. and Jennie (Tigchelaar) Tolhurst. She loved being with her family, especially during the holidays. She was a devoted Elvis fan and enjoyed camping, traveling and riding in her golf cart. Her family described her as a wonderful wife, mom, grandma and great grandma. Emily was a 20 year breast cancer survivor. On December 29, 1961 in Plainwell, she married Jack Livingston, who survives. Also surviving are 1 son and 3 daughters, Jeanette (Terry) Morris, Roy (Joy) Livingston, Brenda (Joe) Hatten, all of Plainwell, Michelle (George) Roemer of Otsego;11 grandchildren; 4 great grandchildren; 2 brothers and 3 sisters, Chuck (Betty) Tolhurst , Jennieann Tolhurst, Clarence (Liz) Tolhurst, all of Bradley, Jessie (Frank) Brix of Wyoming, MI, Freida (Elwin) Kraft of Hopkins; many nieces and nephews. She was preceded in death by a sister, Dolly Jones. Friends may meet with her family on Sunday from 2-4 at the Winkel Funeral Home, Otsego, where a memorial service will be held at 4pm, Deacon Dean Herman officiating. Cremation has taken place and private inurnment will be Monday at Mount EverRest, Kalamazoo. In lieu of flowers, contributions may be made to Wings Home, Allegan. Janie M. Doxey of Plainwell, Michigan, passed away Sunday, September 9, 2012, at her home with her family by her side. Mrs. Doxey was born October 15, 1958 in Battle Creek to John and Judith (Durr) Millsap. Janie was a devoted homemaker, loving wife, mother, grandmother and sister. She had been a Girl Scout leader and loved being a grandmother. In her leisure time she enjoyed sewing, crocheting, painting ceramics, gardening, cooking and baking. Janie had made many hats, scarves and mittens that were donated to cancer patients. On November 13, 1976, in Plainwell, she married Russell Doxey, who survives. Also surviving are three daughters, Amy (Charles) Slone, Jennifer (Derrick Evans) Doxey and Angela Doxey, all of Plainwell; grandchildren, Dylan and Victoria; siblings, Tina (Paul) Grimm, David Lowing and Tom Cardiff; many nieces, nephews, aunts, uncles and cousins. Preceding her in death were her mother, Judith Cardiff; father, John Millsap; and grandparents, Harry and Jane Durr. Friends may meet with Janie’s family from 11am to 1pm Thursday at the Winkel Funeral Home, Otsego, where funeral services will be held at 1:00 P.M, Rev. Dan Minor officiating. Cremation will follow. Contributions in memory of Janie may be made to the American Heart Association. 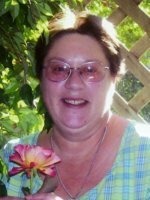 Patty (Votes) Bronkema of Plainwell, MI passed away Saturday, September 8, 2012 with her loving family by her side in Kalamazoo. Surviving are her loving husband of 50 years Bruce Bronkema; her children, Mike (Jodie) Bronkema, Lori (Todd) King; grandchildren, Mike Bronkema, Kori Jenkins, Jeff Bronkema, Bryce Bronkema, Christofer King; 4 great-grandchildren. She was preceded in death by her mother Maxine Jordon. Friends may meet with her family Wednesday, September 12, 2012 from 1 to 2 P.M. at the Winkel Funeral Home, Otsego. A private burial will take place at Hillside Cemetery, Plainwell. In lieu of flowers those desiring may make memorial contributions to Hospice Care of Southwest Michigan.